Biography Xentrifuge-(Zen-tri-fyooj)=A machine in which audio devastation is manufactured Born-2005 Location- North Jersey/NYC - U.S.A. Founding member-Chris X From the mechanized subculture of NJ/NYC's Industrial scene comes Xentrifuge, a brutal assault of harsh electro, constructed by the collectively innovative minds of Chris X., Ray H., and Matt C. Xentrifuge manufactures a groundbreaking blend of EBM, fused with noise, to create a hauntingly melodic, yet raw and unforgiving product. Location- North Jersey/NYC - U.S.A.
From the mechanized subculture of NJ/NYC's Industrial scene comes Xentrifuge, a brutal assault of harsh electro, constructed by the collectively innovative minds of Chris X., Ray H., and Matt C. Xentrifuge manufactures a groundbreaking blend of EBM, fused with noise, to create a hauntingly melodic, yet raw and unforgiving product. 2007 brought the well received and much respected debut release, "Light Extinguished" on the well known German label, NoiTekk. Peaking at number six on the DAC, Xentrifuge has established a loyal international following. Always evolving, Xentrifuge continues to break boundaries. 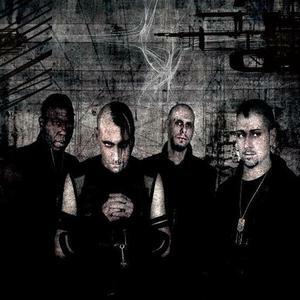 The highly anticipated second album "Converting Infinity", released on Sept 25, 2009, was a hit with fans and the world-wide industrial music scene. Late 2012 will see the release of Xentrifuge's third full length release, "Kloying Point", which has already gained the attention of fans with an early version of the song, "D.N.R". Xentrifuge wages war against an already dying future.